In the waning years of Victorian Europe, belief in mythical gods and creatures reached its lowest, but one place remained where ancient tales of monsters and heroes were believed real. It is only fitting, it was the last place men and gods warred for the possession of Earth. A mysterious archeological find lures Professor Branna Butler to the most western point and last bastion of belief in Irish lore. Only the second female professor at Trinity, Branna is eager to prove herself to the university. She has no idea her presence on the isolated island is preordained. Inspector Michael Doyle of the Royal Irish Constabulary arrives on the island to investigate a brutal double-murder. 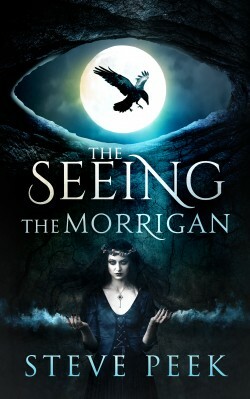 When The Morrigan, the unholy trinity of pagan gods, attacks, the humans are woefully unprepared. Surprised by the power summoned against her the goddess must find and destroy Branna.